Grand Central Life & Style, 9781455509355, 304pp. The # 1 New York Times bestseller--now in trade paperback for the first time! 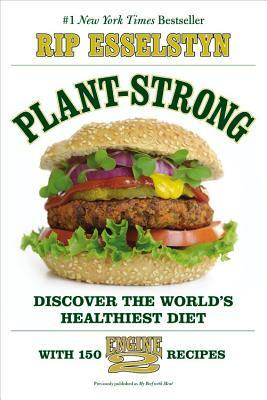 In this #1 New York Times bestseller (originally published as My Beef with Meat), Rip Esselstyn arms readers with the 36 most powerful facts that prove, once and for all, that a plant-based diet can save your life. Do you want to: Prevent cancer, heart attacks, stroke, and Type 2 Diabetes? Eat plants! Have stronger bones than milk could ever give you? Eat plants! Avoid dangerous carcinogens and contaminants? Eat plants! Lose weight and look great? Eat plants! On top of these arguments are 150 other reasons why plants rule--as in 150 delicious, mouth-watering Engine 2 recipes, including 10 that are exclusive to this new edition. Prepare to eat well, be healthy, and live plant-strong! Rip Esselstyn is the New York Times bestselling author of The Engine 2 Diet and My Beef with Meat. He has been featured on and in Today, Dr. Oz, Time, and Newsweek, among other media. A former world-class professional triathlete, Esselstyn joined the Austin fire department in 1997. In 2009, Esselstyn became a healthy eating partner with Whole Foods Market and currently travels around the world promoting the Engine 2 lifestyle.